Posted on July 24, 2011, in OS X Lion and tagged compatibility, gimp, inkscape, Open source, recommend lion, should I upgrade to lion? 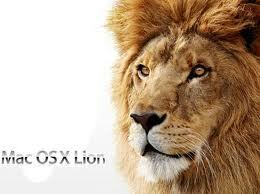 problems with Lion upgrade, Snow Leopard, X11. Bookmark the permalink. 4 Comments. Not yet – still waiting on FCP suite and Adobe Suite issues. I’m a bit of a slow mover. May make the move in 6 months once fixes are put into place. Lion does look good. Cheers mate. Did you take the plunge?